A surf and turf is a great supper for those of us who eat meat; the delicate flavour of lobster or other seafood paired with bold taste of steak. The combo is aesthetically appealing because it brings sea and land together on your plate, uniting the two essential elements of that make up our Planet Earth. 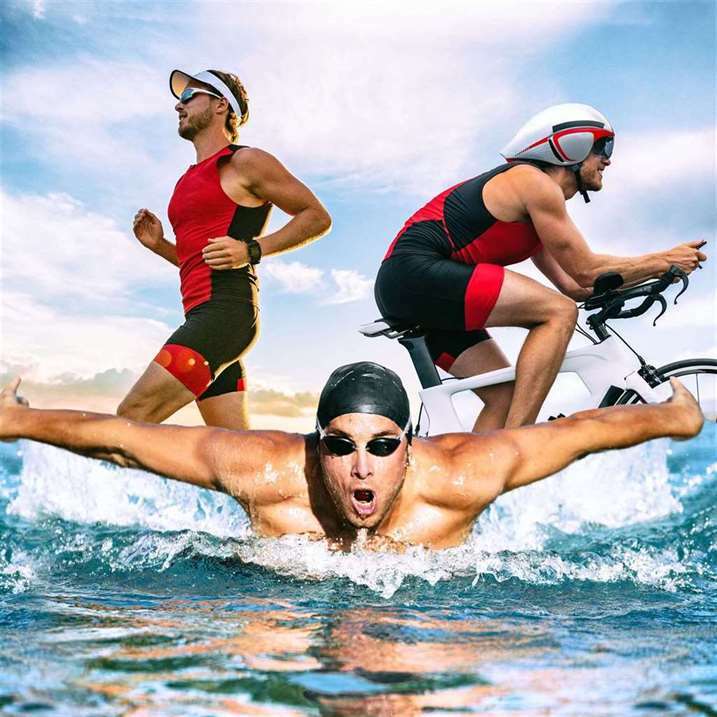 Just as swimming and walking make for two very different beasts on your plate, competitive swimmers and runners have fairly different body types; both muscular, to be sure, but with different standards for short and long distances. With runners, the longer the distance, the leaner the runner. A study published by the Royal Society found that as the distance being run increased, the body mass index (BMI) of the runner dropped. One hypothesis for why this occurs is that the extra muscle is useful for sprinting short distances; such races are all about power, and endurance can be left by the wayside. Conversely, every extra bit of weight you carry with you when running a long distance could be detrimental; when running a marathon, the less weight you have to carry, the more your cardiovascular system can endure. Swimmers, on the other hand, were found to have a BMI of 23 if male, and 21 if female, regardless of the distance they were racing. This is not to say that these swimmers aren’t fantastically fit, but that no matter how tall or short, big or small, two people of approximately the same fitness can challenge each other without worrying about being burdened by excess weight or hindered by a lack of muscle build-up. This may well be because water alleviates the amount of weight a swimmer must carry; when you’re in the water, you float effortlessly, so your mass is less taxing on your cardiovascular system. What this means for you, dear reader, is something exceptional; no matter how big or small you are, you can swim. You can work up your endurance, build up your muscles and succeed in your swimming goals, no matter how big or small you are. You can swim sprints, you can swim endurance, you can swim for fun, and the power of floatation will help you endure and thrive. Longtime readers of the blog know how much we value swimming for it’s therapeutic athletic benefits, so this is just another reminder of how universal the benefits of a pool really are. You might have given up on swimming because you thought you weren’t the right size, or the right weight; dispel those notions, because Olympians of all sizes have. Of course, they have a very specific BMI, but tall or short they compete; we see no reason why age should stop you from swimming, or why you should feel self-conscious about it. Swimming is for everyone, so if you need to spruce up your pool before hopping in, our leading pools renovation company is here to help.